Soldered silver beads are formed around this beautiful raw quartz stone with rings soldered to top and bottom of crystal. The raw stone hangs from oxidized silver stainless steel braided chain. 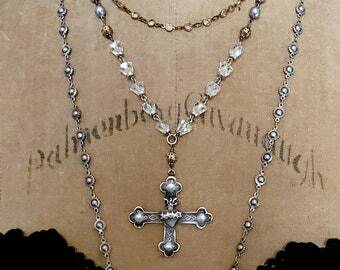 A gold brass cross is fastened midway to the chain for visual interest. 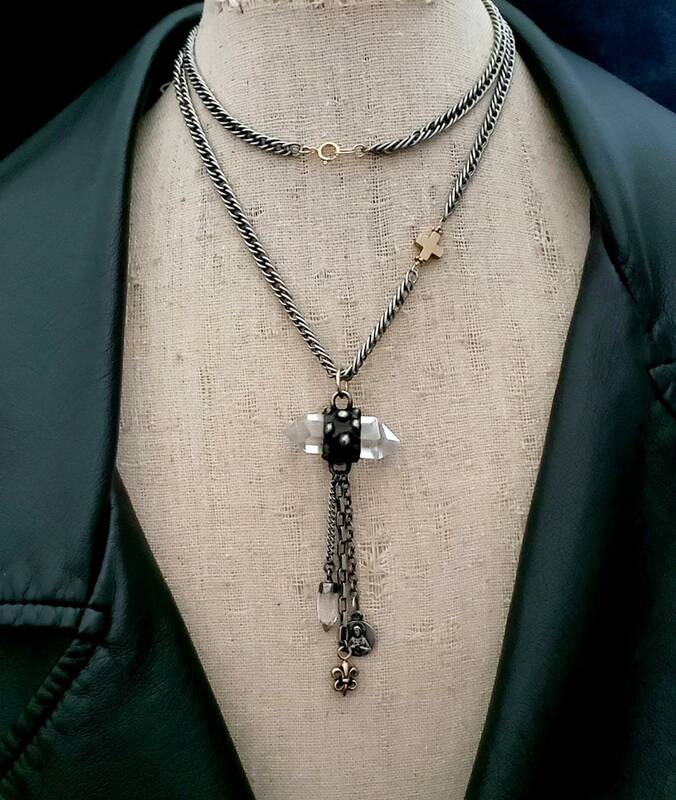 A unique chain tassel features 3 different chains and 3 different charms-- a silver crystal capped quartz spike, a solid bronze fleur de lis charm and a vintage religious charm. 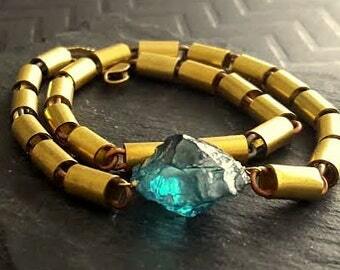 The crystal quartz stone slides along chain from a gold filled ring. A gold filled spring clasp and ring is fastened to the ends of the chain. NECKLACE LENGTH: 22" with a 3" tassel chain.